Hey y'all, & happy Festival Season! Over the last couple weeks, a lot of excitement has been brewing as Rachael prepared to unleash her latest project into the world, and we just wanted to take a moment to say "thank you" - thank you for being so incredibly supportive, for following your favorite glittery songstress on social media, for coming out to see her on her tours, and for spreading the word to the uninitiated. #varklempt!! We only have a few key items for you in this newsletter, because they're biggies - so here goes...*drumroll*, & details below. NEW VIDEO FOR "I DON'T BELIEVE IT"
1. Watch Rachael's New Video for "I Don't Believe It"! Rachael's brand new video for her empowering anti-bullying anthem "I Don't Believe It" is out now! The clip first premiered on PopMatters along with some very insightful shpiel about the song's meaning, but you can watch it directly now on Rachael's YouTube! 2. Rachael Nominated for a "Women In Sync" Award — Voting Open Now! Rachael has been nominated for a prestigious "Women In Sync" Award, an award given for excellence in music placement in TV and Film. 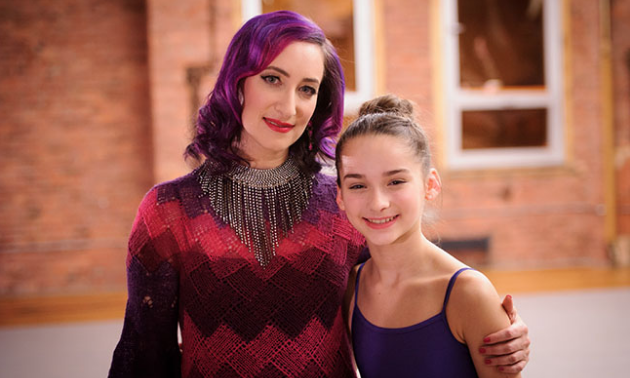 Nominated for her many songs which appeared in recent "Dance Moms" episodes, Sage will also be attending the awards ceremony on June 15th in NYC. You can help Rachael win by voting for her HERE! 3. Help Rachael Perform at SummerFest 2016! Rachael Sage & The Sequins are up for a chance to perform at one of the U.S.' biggest music festivals, SummerFest in Milwaukee, WI! Once again, this is something YOU as her most supportive listeners are empowered to help achieve, as the chance to play this event is granted to the band with the most fan-votes. Click HERE to vote for Rachael and her band to play at this fantastic fesival! (Just search for "Rachael Sage" on the home page). 4. On The Road Again! UK, West Coast, Midwest & more East Coast! Continuing to tour in support of her new album "Choreographic", Rachael will be hitting some of her favorite cities in the coming weeks...Check out the ecard below for an overview of the next leg of her Spring/Summer tour, & check the side of this newsletter for more details & ticket links! See you out there, woohoo! !